In today's market, the cost of hydrocarbon fuel is a major factor when choosing combustion equipment. Thus, a serious evaluation of your existing combustion equipment and upgrading to today's energy efficient standards must be considered. In the past, the cost of energy did not carry the price factor that it does today. Therefore, the cost of the burner was the prevailing factor, and operating efficiencies was secondary when choosing combustion equipment. Today, the price of fuel, coupled with the price of the combustion equipment, is subject to a return on investment factor (ROI), and efficient burners, installed on new or existing equipment have an average pay back, based on fuel savings alone, of 12-24 months. At Ordan Thermal, we are determined to make certain that our customers are operating at maximum energy efficiency and striving for a continuous ROI from combustion equipment. 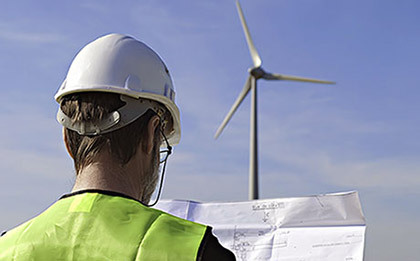 Our technical consulting services team can help your company initiate an environmental conservation program by providing the information on how your combustion and related equipment can be more energy efficient. Our energy audit team can share its great knowledge of combustion process equipment. If you have a bake oven, furnace, kiln, liquid tank, or any other heat processing equipment, Ordan Thermal can help save your company money immediately. Initially we gather preliminary information, and then a member of our team meets with you at your facility. During our visit, we examine your combustion heating equipment, perform some tests, and then submit a detailed report, outlining our findings. The energy audit report contains recommendations on current equipment, solutions for lowering your fuel consumption and energy costs, and any possible gas code safety violations that need to be addressed. By the use of heat exchangers, recuperative and energy efficient burners, and simple adjustments to your existing equipment, there is certainly an energy and money saving solution for your company.